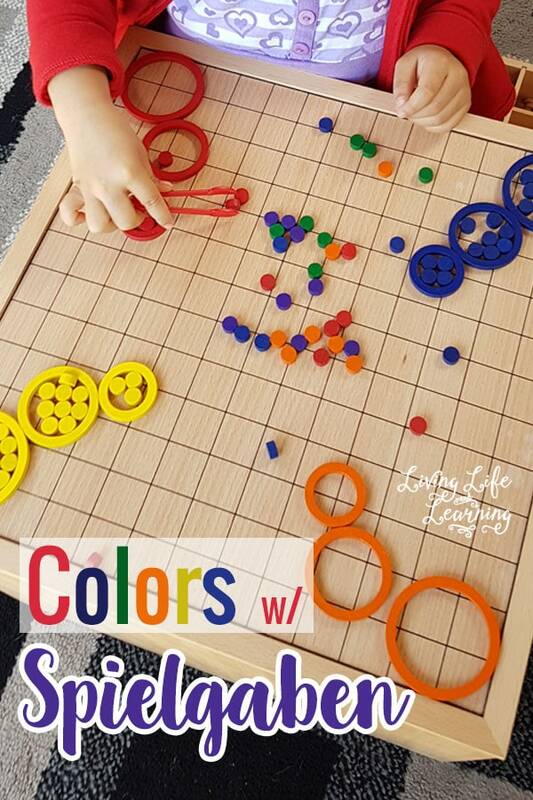 While I do create a lot of kindergarten math worksheets for my daughter, I also believe that learning can take place outside of worksheets. 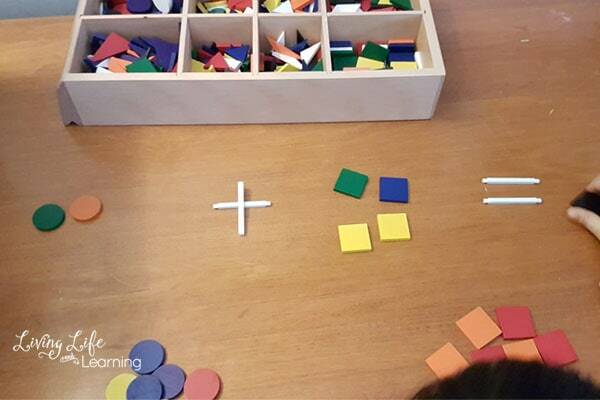 At an early age, math concepts need to use concrete items for kids to get a better understanding. I also don’t force the issue of writing when completing worksheets because the child may know the answer but balk at the physical act of writing and I don’t want that to hinder their math understanding. 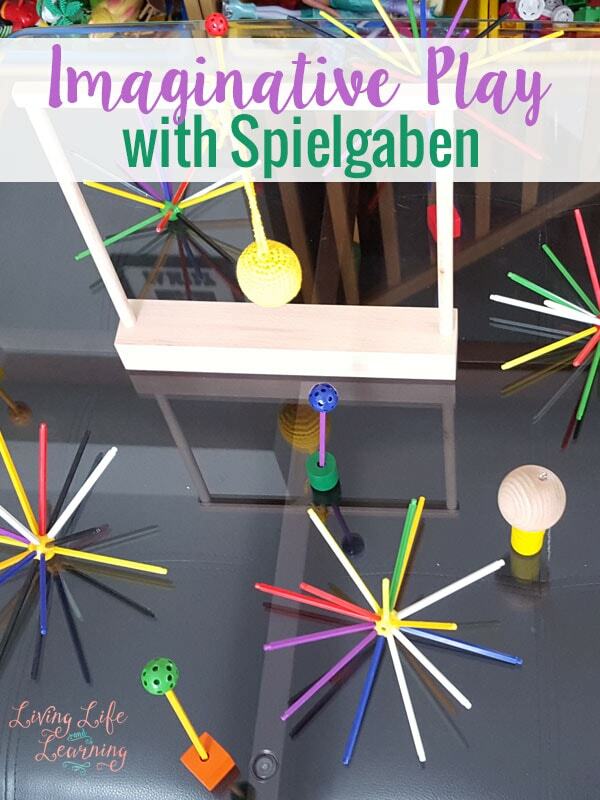 We’ve set up a coffee table that is now the Spielgaben table and my daughter uses it for her math lessons. 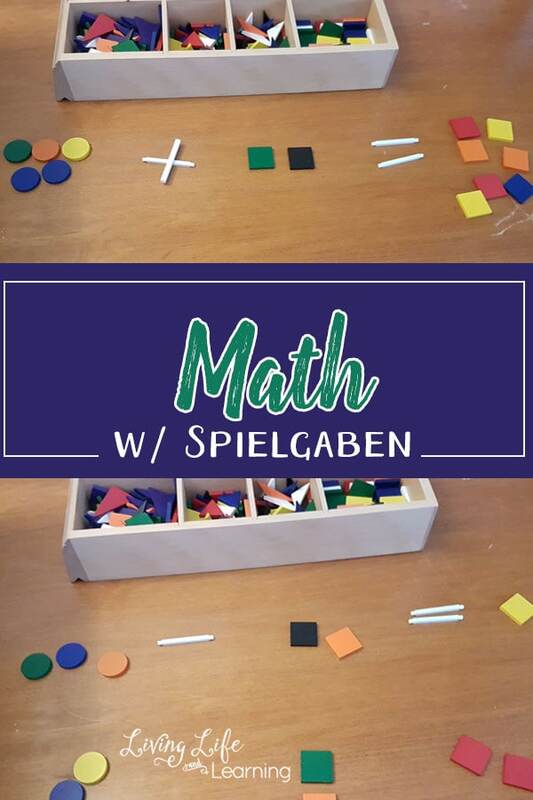 We have a great math curriculum but it uses a workbook so I just pull the questions from the teacher’s guide and we do our math lessons using the Spielgaben blocks. After I set this up for the first time for my daughter, she now brings out her math all on her own and gets to work. I wish both of my boys were this motivated to do their math. We can use them for addition, subtraction, patterning and fractions. 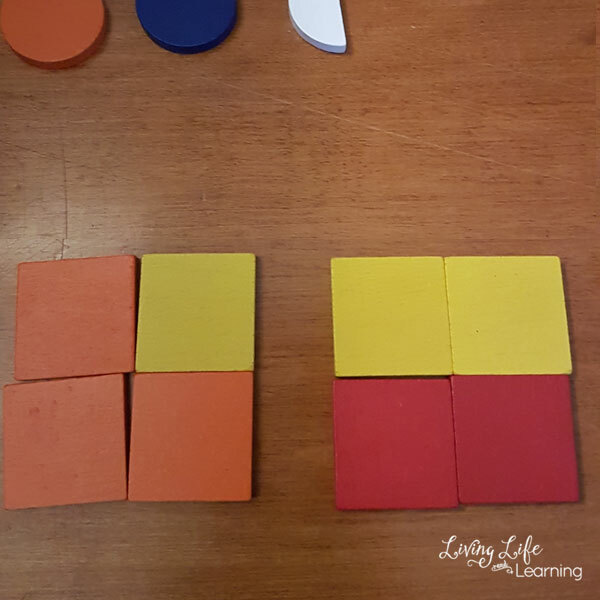 I use them with my older son to show how we can add fractions and then he can turn them into mixed numbers as he visualizes them with the pattern blocks. So for this question is was 3/4 + 1/2 and we talked about how 1/2 was also 2/4 so that when he added them together it became 5/4 which he was able to convert to 1 1/4. 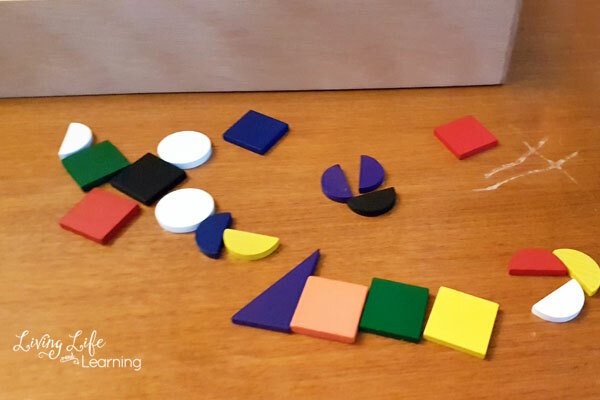 After my daughter is finished with her math lesson, she likes to build with the blocks and she took this picture below of the bird and snake that she created all on her own. You know you’re a blogger when your kids start taking pictures of their work. If you mentioned that you saw Spielgaben on my blog, you’ll get an 11% discount. 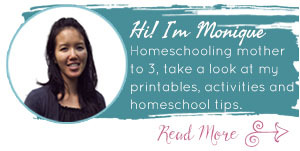 We used them daily in our homeschool and the kids like to use it as a creative outlet to build.